Full-field optical coherence microscopy (FF-OCM) is an imaging technique that provides cross-sectional views of the subsurface microstructure of semitransparent objects. The technology is based on low-coherence interference microscopy, which uses an area camera for en face imaging of the full-field illuminated object. FF-OCM benefits from the lateral imaging resolution of optical microscopy along with the capacity of optical axial sectioning at micrometer-scale resolution. The technique can be employed in diverse applications, in particular for non-invasive examination of biological tissues. This handbook is the first to be entirely devoted to FF-OCM. It is organized into four parts with a total of 21 chapters written by recognized experts and major contributors to the field. After a general introduction to FF-OCM, the fundamental characteristics of the technology are analyzed and discussed theoretically. The main technological developments of FF-OCM for improving the image acquisition speed and for endoscopic imaging are presented in part II. Extensions of FF-OCM for image contrast enhancement or functional imaging are reported in part III. 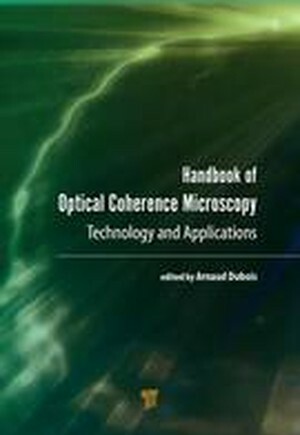 The last part of the book provides an overview of possible applications of FF-OCM in medicine, biology, and materials science. A comprehensive compilation of self-contained chapters written by leading experts, this handbook is a definitive guide to the theoretical analyses, technological developments, and applications of FF-OCM. Using the rich information the book is replete with, a wide range of readers, from scientists and physicists to engineers as well as clinicians and biomedical researchers, can get a handle on the latest major advances in FF-OCM.